Hello there! I am back again from my - I think- longest blogging hiatus so far. Not that it really was an actual, planned one; I just don't find myself, the computer and time in the same sentence anymore. Internet, I miss you! It is also not always easy or the first thing that come to mind to blog about mundane things in a world that is on fire and a heart full of Weltschmerz. I am also clearly getting old(-er) for real now, even wiser perhaps, as I have stopped pushing myself at 1 am and instead go to sleep. Who would have thought. But. 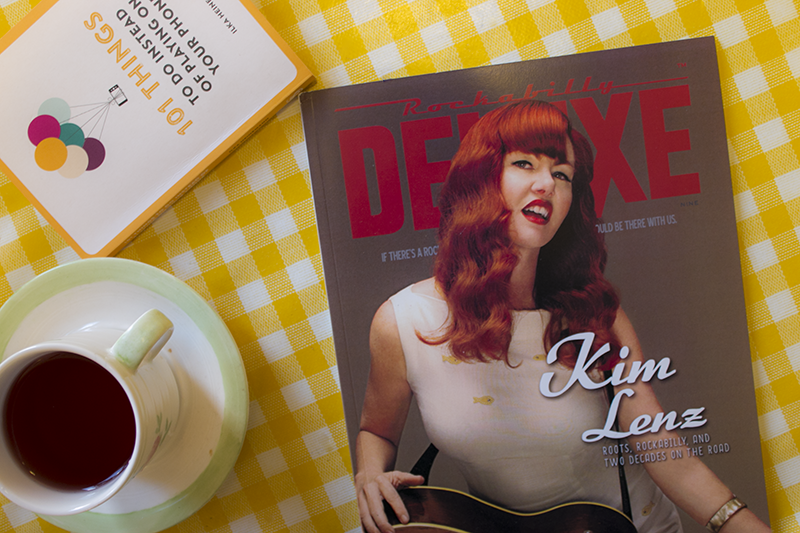 Aaaanyway, I am featured in the latest edition of Rockabilly Deluxe magazine! It is with a piece I was asked to write about me and the Finnish burlesque scene. Order your printed copy online, woop woop!